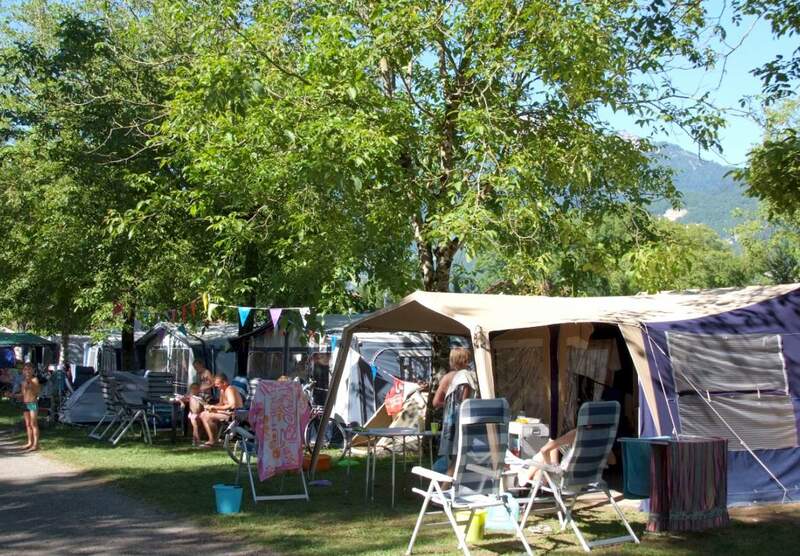 Our beautiful camping pitches are grassy, shaded and offer you unique views of the surrounding Alps. Pitches are spacious and flat with an electrical connection of 6A and can accommodate your own tent, caravan or campervan. For your convenience, we provide two shower and toilet blocks, as well as laundry and washing-up facilities in our camping in the alps. Please une "free search" box below when booking your camping pitch.